Does Farming Sector Really Understand Climate Change? When it comes to the carbon footprint of food, the bucks really do matter – but where does the buck stop? The problem is that most farmers think that taking action to reduce their carbon footprint and cut greenhouse gas emissions, while necessary will only add costs to their business. However, the global farming and agriculture sector is now caught in a vicious cycle of a need to produce more food on limited resources for an ever growing global population. At present there is sufficient food produced – 3.6 billion tonnes – to feed the current world population of 7.3 billion. However, despite the availability of food, access is an issue and many people still go hungry. The problem is going to deteriorate unless action is taken, because by 2030 the global population will be 8.3 billion and there will be a demand for 50 per cent more food, with demand in Asia for more protein rising as the middle class population reaches 3 billion. During the global climate change talks, COP-21 Paris Climate Conference, the USDA issued a report highlighting the threat that a changing climate is having on food production and security. It also adds that the nature and content of the food that is produced is also changing because of varying and adverse weather conditions. “Elevated atmospheric carbon dioxide leads to lower protein content in important global food staples. Disease burden, the status of women, and water, sanitation, and hygiene factors each influence nutritional outcomes as well and are affected by changing climate,” it says. The report adds that unless action is taken climate change is likely to reduce continued progress on global food security through production disruption that leads to constraints on local availability and price increases, disruption of the transport infrastructure and lower food safety. “The risks are greatest for the global poor and in tropical regions,” the USDA says. Dr John Holdren, Assistant to the President or Science and Technology and Director of the White House Office of Science and Technology Policy said: “The report found that climate change is likely to cause disruptions in food production and a decrease in food safety, which in turn leads to local availability limitations and increases in food prices, with these risks greatest for the global poor and in tropical regions. President Barack Obama has pledged to reduce US greenhouse gas emissions by between 26 and 28 per cent below 2005 levels by 2025. In April this year, Agriculture Secretary Tom Vilsack announced set out the USDA’s 10 Building Blocks for Climate Smart Agriculture, a set of voluntary programmes and initiatives to reduce net emissions and enhance carbon sequestration by over 120 million tonnes of CO2 equivalent by 2025 – about two per cent of economy-wide emissions. In Europe, the umbrella organisation for agricultural groups, Copa-Cogeca said that it has laid out plans to cut emissions by 40 per cent compared to 1990 levels. “Our partners across the world need to make similar commitments,” Copa Cogeca’s Secretary-General Pekka Pesonen said. However, while high minded promises and pledges are being made on an international and political level, down on the farm does the farmer really understand what climate change means, what its effects and what can be done to mitigate these effects. 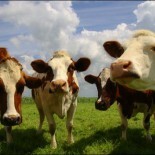 A survey of dairy farmers in the UK, by the on-farm environmental and carbon assessment company Alltech E-CO2, part of the international animal feed and nutrition giant Alltech, found that the majority of farmers did not truly understand where the carbon emissions were coming from in livestock production, which animals had the largest carbon footprint and what the costs would be in reducing greenhouse gas emissions. The survey showed that only 10 per cent felt that it would improve profits to map the carbon footprint of production, where 45 per cent thought it would add costs. The surveys carried out by Alltech CO2 showed the opposite and efficiencies gained through carbon footprinting and improved animal health showed good increases in profits. 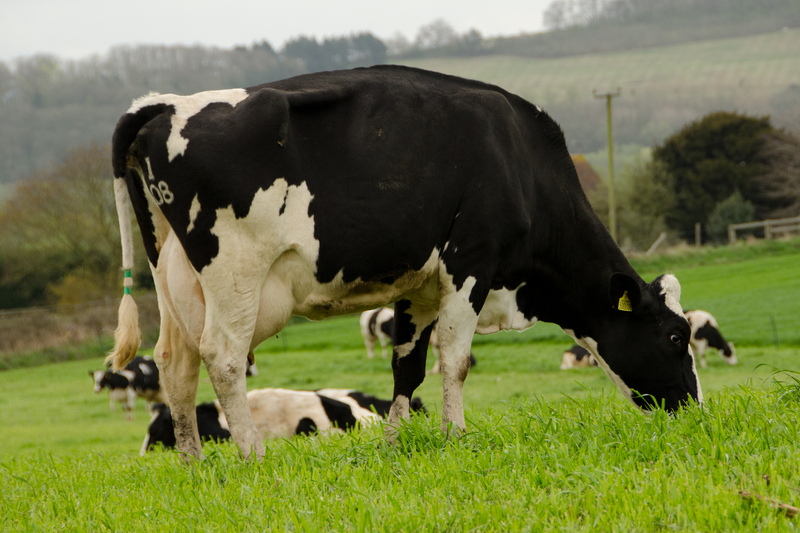 Most farmers also see production of manure and methane in the rumen of ruminant animals as the greatest greenhouse gas producers having the greatest effect on climate change, while other inputs such as feed production, fertiliser use and land use are also overlooked. This aspect of farming and livestock production is recognised by the feed industry, although the message does not appear to be getting over fully to the farmer, politician and consumer. Alexandra de Athayde, International Feed Industry Federation Executive Director, said during the Paris conference: “Through innovation and efficiency, animal feed has proven to be an essential part of the solution to make the livestock production chain more sustainable and reduce GHG emissions. If anything is to be learned from the conference in Paris and the viewpoints from the organisations surrounding farming around the world, the need to reduce greenhouse gas emissions is a collective responsibility. And any outcome needs to be demonstrated as a benefit not just to ensuring climate change is made less rapid, but is also shown to be a benefit to the poor and hungry in less developed countries that are affected most, an improvement in production systems and an advantage to the livestock and agriculture sector globally. Perhaps at the forefront of any action plan should be education to ensure a global understanding of the issues involved. This entry was posted on December 4, 2015 by agedchrisharris in Cattle, Meat, Pigs, Poultry, Sheep.